It is surprising how little is known about the rearing of Rutelinidae. The most likely Rutelinidae people might have reared, is probably an Asian Anomala species. The American continent has quite a few beautiful species that are more than worthy our attention. Today, I would like to describe my experiences with the North American species Chrysina beyeri. C. beyeri is a beautiful and mid-sized green species. 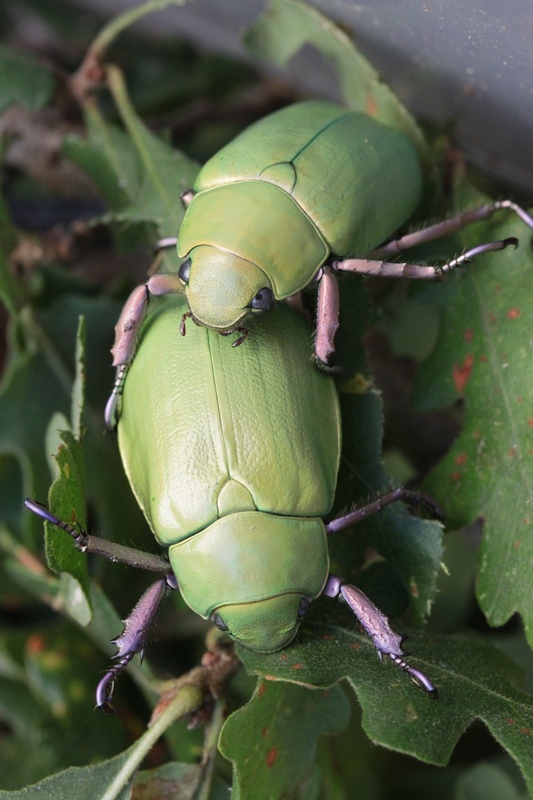 They do look like another green beetle at first sight, but theirs is a very light green, and their legs are purplish, and the tarsi are blueish. Of the four North American species (C. gloriosa, C. beyeri, C. woodi, C. lecontei), Chrysina beyeri is the most beautiful. 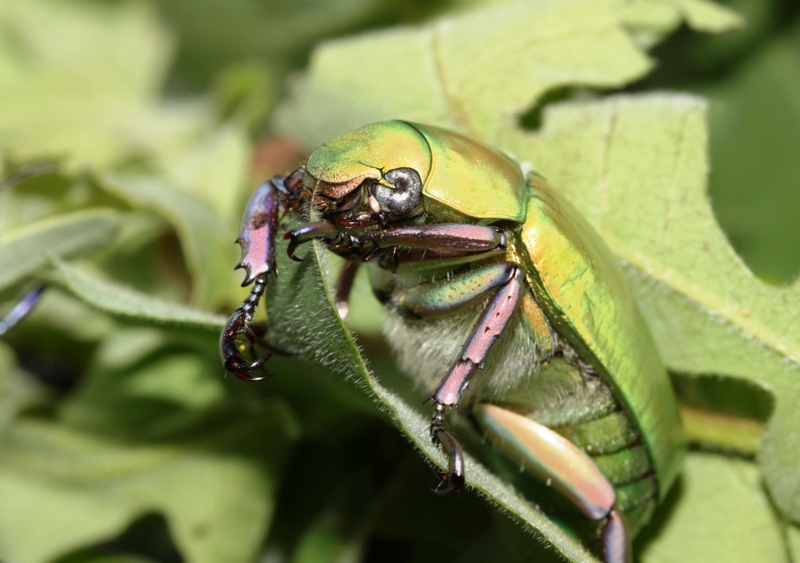 Their maintenance is quite easy, but there are a few differences to your standard flower beetle breeding procedures: They do not eat fruit; imagines will eat leaves of all oak species (Quercus ssp. ), and quite impressive amounts, too. They do need a constant supply of leaves to stay alive for longer periods, I have found them quite weak and very short-lived if they do not get any leaves for food. Even under perfect conditions, they are not very long lived, 2-3 months seems to be the maximum. Chrysina in general are very peaceful and males and females can easily be kept together without any issues. Egg laying is ridiculously easy, I have gotten eggs even in substrates with just enough substrate for them to bury themselves in. I do get the best results however, with providing them a substrate of very soft, slightly damp white-rotten wood. The larvae hatch within 2-3 weeks, and grow quite rapidly on a wood-only diet. the larvae are very peaceful as well, and even if crowded do not harm each other. Chrysina beyeri so far might sound like the perfect pet, but here comes the tricky part: Pupation is the period where I lose most of my larvae. After about 9-12 months, the larvae get a bit more restless and start searching for a place to pupate. I have tried offering big pieces of very hard white-rotten wood, and managed to get some pupations in these. I will also try to offer clay or loam this, time, maybe they are pupating outside the wood. 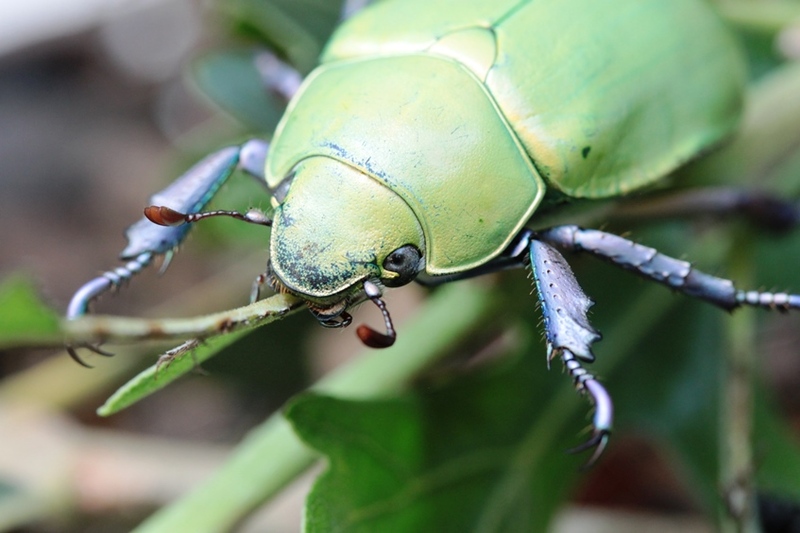 I do think that the normal cycle of Chrysina beyeri from egg to imago is about a year, and probably like with Goliathus, once you miss the right time, they will live for quite some while before finally dying, without having pupated. 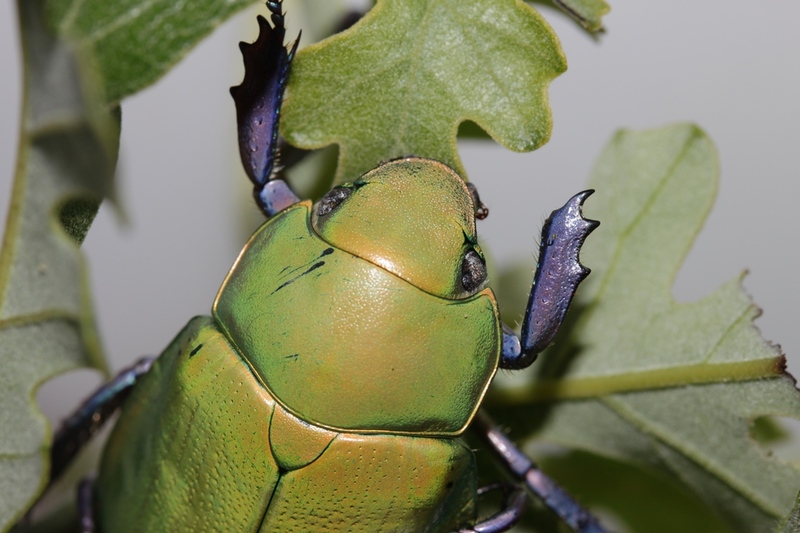 I think this can probably be figured out, and wish someone does quickly, because the South American Chrysina, with their gold and silver species are definitely one of the breeders holy grail. One last note, most species I have seen are really quite sensitive in transport, like for instance Lucanus ssp., High temperatures do kill them easily, and this might limit their availability as well.